This weeks Monday Gate Drop is once again brought to you by the fine people at Honda Canada Racing. With their lead rider Colton Facciotti already training for the 2017 season, Honda Canada and the GDR Fox Racing Team is very excited for what lies ahead. We at MXP Magazine are very proud to have the backing of Honda Canada and we wish them luck on the race track in the future. KTM Canada and Husqvarna Canada have certainly got into the Halloween spirit today. To begin this week’s Monday Gate Drop, I’d like to first wish everyone a Happy Halloween! I hope your costumes are a hit tonight and all the Trick or Treaters have a safe time while they’re out collecting candy. It’s amazing how things have changed in the last thirty years or so as I remember Halloween being cool and all, but not really the festive day that it seems to be nowadays. At my son’s school, at least, today is a full-on party with all the kids dressing up, with fun activities planned throughout the day. While I certainly remember dressing up at school when I was kid, I don’t remember anything fun planned during the day, except maybe a Halloween dance for grades 7 and 8. And since we lived in the country, our trick or treating consisted of getting in the car and driving around to a few houses. Since everyone lived so far apart back then, that alone would take over an hour. I actually don’t think you’ve experienced true Halloween until your parents make you get out of the car at an old farmhouse in the middle of nowhere to go and collect candy. With dogs barking, the wind blowing and very few lights anywhere around, and then to have some old farm lady answer the door, it was like a scene straight out of a horror movie. Anyway, it’s great to see all of our moto kids dressing up today and having fun. 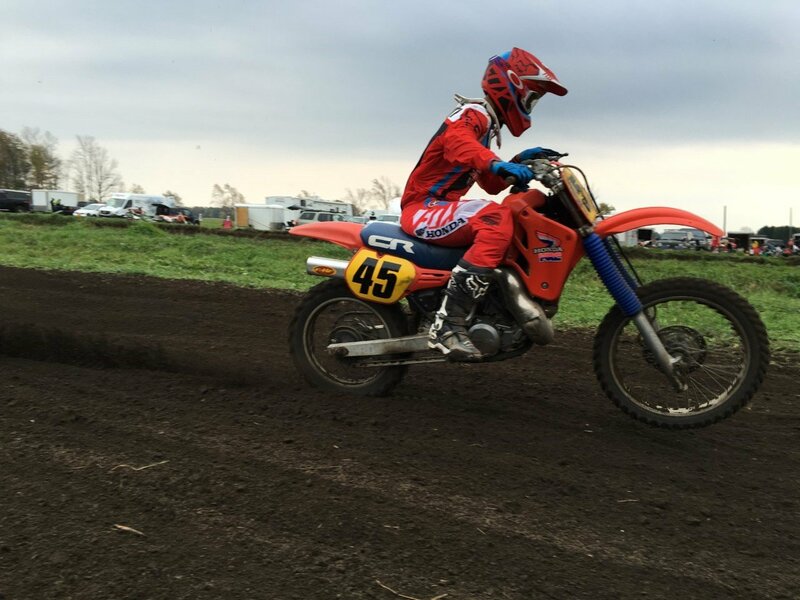 Colton Facciotti looked so smooth on this old CR500 that he may want to think about getting one ready for the nationals next summer. Moving on now from Halloween to what looked like one of the most enjoyable riding days of the year. 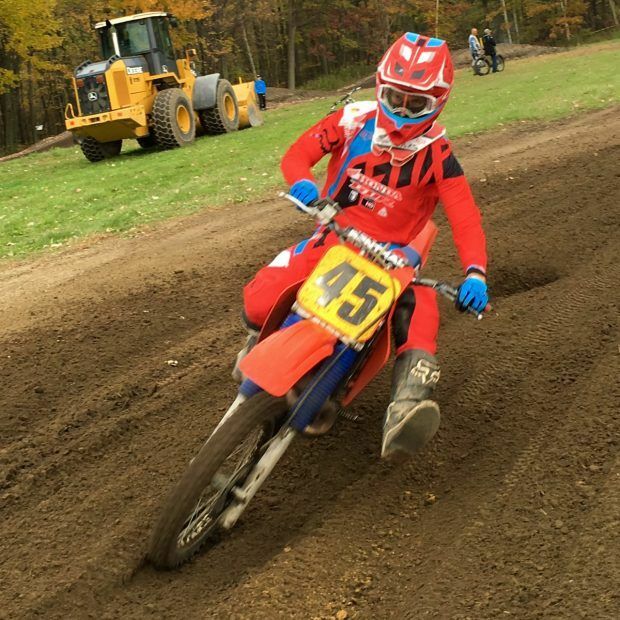 On Saturday, Gopher Dunes hosted the Vet and Vintage race on a track formed throughout the property. With over 100 entires (including 4-time Canadian MX1 Champion Colton Facciotti on an old CR500) this once a year event was a lot of fun. One of the many cool things about Gopher Dunes is that the only really sandy part of the property is the main track. Once you get into the trails and other parts the soil is actually pretty loamy. During this time of year that can only mean one thing, absolute perfect conditions! With very mild temperatures greeting the riders on Saturday, every single rider had a blast, and congratulation to Gopher Dunes for putting on such a cool, late fall event. The Gopher Dunes facility is still open for business, so if you live in Ontario this is one of the few tracks that is still open. If I’m not mistaken, this officially marks the end of the outdoor racing season in Canada. With nothing but indoor racing going on now out west, and tracks like Moto Park closing its doors for the season this past weekend, it’s time to clean up the bikes, hang up the gear and begin to regroup for 2017. However, if you’re planning on heading south in the next few months, MP County Line has now officially opened for the winter season. Iain Hayden and his crew have been hard at work getting the track dialled in for everyone, and by the looks of the photos, things are looking great at the new and improved County Line in Northwestern Florida. 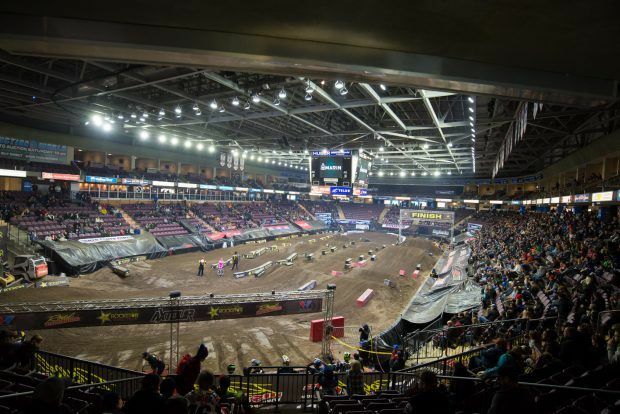 So from the cool Canadian outdoors, we move to the hot and smokey indoor arena in Penticton, BC and the joint AX Tour and Future West AX event. In a sport where we don’t see too many promoters working together to achieve a common goal, it was nice to see the AX Tour and the folks at Future West collaborating on this event. With 21 pro riders, and over 250 amateur riders signed up, this was definitely one of the biggest AX races ever in Canada. By all accounts the racing was exciting in almost every class, and with the unique track design, the battles were intense for the Penticton crowd. Just like last weekend in Armstrong where we saw Jess Pettis sweep all of the main events, this weekend we watched Rockstar Energy OTSFF Yamaha rider Chris Blose dominate every race. So far in the first few eastern rounds of the AX Tour series it was Colton Facciotti who was the rider to beat, but with Colton not making the trip west, Chris Blose quickly found his way to the front of the pack. Blose’s riding was impressive to say the least, especially when you consider the talent he had chasing him around the Penticton track. With the Future West Series now taking a few weeks off before resuming in Chilliwack on November 25th, the AX Tour sets its sights on their final round this weekend in Calgary. With Chris Blose now in the driver’s seat in the points race, as well as taking the lead in the three race Parts Canada $25,000 triple crown, the final round at the Agrium Center in Calgary is bound to be a barn burner. Well, that is it for me this week and my Honda Canada Racing sponsored Monday Gate Drop. As I mentioned above, I hope everyone has a fun and safe Halloween and remember, moto kids don’t need too much candy, it’s bad for you. Finally, please tag @mxpmag on awhll of your Halloween posts today so we can see all of your cool photos. Have a great week and stay warm, it’s getting cold out there. Also, stay tuned to mxpmag.com for the entire 2017 Rockstar Energy Drink MX National schedule which will be released tomorrow. Gopher Dunes Will Remain Open This Weekend! Supercross Montréal presented by Honda in collaboration with Vidéotron Motocross charges back to the Olympic Stadium! ROCKSTAR ENERGY HUSQVARNA FACTORY RACING MAKES HISTORY AS ANDERSON AND OSBORNE ARE CROWNED SUPERCROSS CHAMPS IN LAS VEGAS! ROCKSTAR ENERGY HUSQVARNA FACTORY RACING’S DEAN WILSON HAS CAREER BEST FINISH WITH A 2ND IN INDIANAPOLIS! ROCKSTAR ENERGY HUSQVARNA FACTORY RACING’S ZACH OSBORNE EXTENDS POINTS LEAD WITH A VICTORY AT ST. LOUIS SX! TEAM HOLESHOT MOTOSPORTS SIGNS QUINN AMYOTTE! ROCKSTAR ENERGY HUSQVARNA FACTORY RACING’S ZACH OSBORNE BATTLES TO A VICTORY AT ARLINGTON SX! ROCKSTAR ENERGY HUSQVARNA FACTORY RACING’S JASON ANDERSON DOMINATES AT SAN DIEGO SX! The 2017 BCA Prospect Goggle is here! SCOTT has a new Motocross Champion! Ride Motopark for free at Yamaha bLU cRU Rider Appreciation Day! 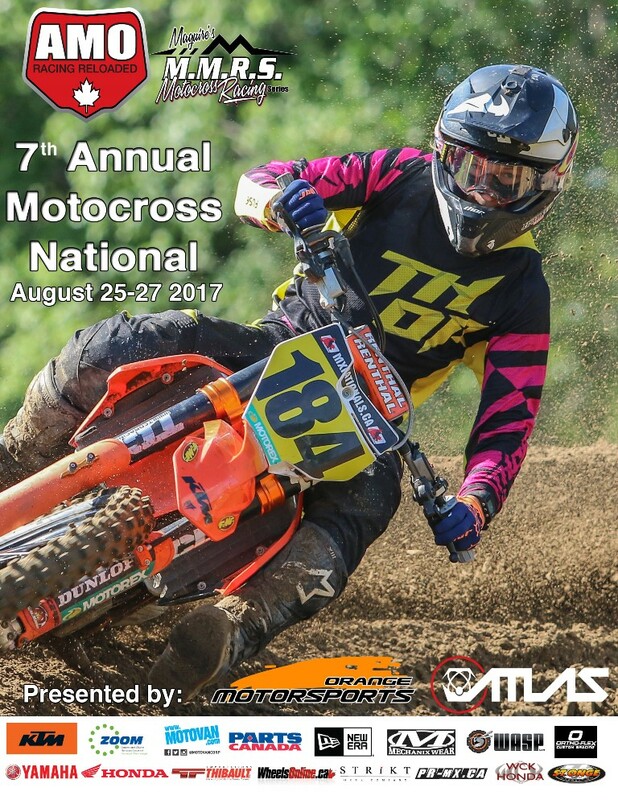 ROCKSTAR ENERGY DRINK MOTOCROSS NATIONALS ON TSN – THIS WEEK! Matt Goerke & Tim Tremblay ready to rock! THORAH INSURANCE BROKERS LTD. HAS ALPHA MOTOCROSS ‘COVERED’ IN 2017 AND BEYOND!! Two Wheel Motorsport/Yamaha Motor Canada finalize 2017 Deal with Team Holeshot Motosports! 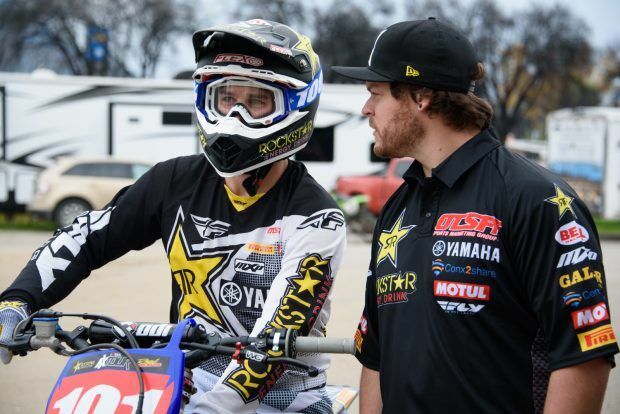 The Rockstar Energy OTSFF Yamaha, in association with Rock River and CycleTrader team Invades Kansas City! Gopher Update….Track open family day Monday!